Just when you thought you figured out everything you can do on a treadmill, here's something that adds variety and gives you a great looking lower body. If you're an Instagram follower of Britney Spears (I'm not), I hear she's become known for showing her workout routines online. According to her posts, she loves cardio and sweating. And she recently took a class at an Equinox gym called a Precision Running treadmill class. 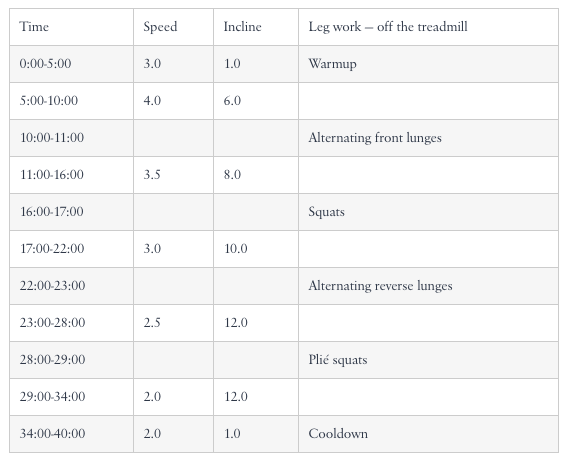 It's inspired by track & field workouts which combine HIIT, speed and hill intervals. In other words, it really burns. But you don't have to belong to Equinox to do these workouts. With your own treadmill, preferably a Landice treadmill, you can do these intense exercises in the comfort of your own home gym. And based on the routine, you may be glad to be in your own space when trying this. Incorporating hills and intervals into your routine will pay off in spades. Hills are important because they create variety and intensity, which improves your endurance, anaerobic capacity, speed, power, running economy, and overall strength. Hill running also helps improve your form, which aids in muscle development. The same can be said about intervals workouts. Mix this workout into your regular routine and you will soon see that amazing lower body come to fruition.